Flying Blind, LLC is excited to offer you our very first Webinar, designed to provide decision-makers of non-profit agencies with invaluable direction for procuring monies to fund the services they offer to their communities. The Webinar will be held on Monday, November 17th, 2008 at 4:00 PM EST. 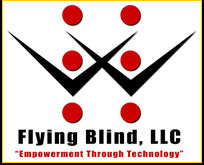 Flying Blind, LLC’s special guest speaker, who will lead the webinar, is none other than Liz Powell, Esq., MPH – Principal and Founder of G2G consulting, LLC (http://www.G2GConsulting.com). G2G consulting, LLC provides government affairs, fundraising, public relations, event planning, grant writing, and economic development services for non-profits and businesses - taking all necessary actions to go from Government, to Growth. G2G includes a team of professionals with years of experience in government, politics, and grant writing, and a proven track record in delivering quantifiable results that meet clients' needs. G2G has secured 8 earmarks (federal funding) for 9 clients in the Fiscal Year 2008 appropriations process that totals over $10 million (as of 9/24/07). Please contact us at: webinar@flying-blind.com to join us on-line for this complimentary workshop. More information about login details will be forthcoming within the next few weeks. And, Flying Blind, LLC plans to make webinars such as this available to you on a regular basis, so please feel free to e-mail us your suggestions regarding future webinar topics.